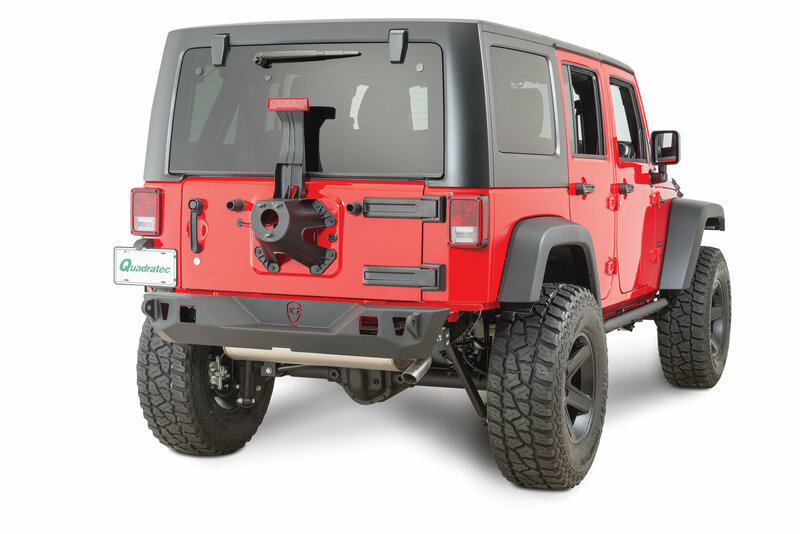 Improve ground clearance and departure angles of your JK Wrangler with this new Mauler stubby rear bumper. Heavy duty 3/16 CNC cut and formed steel bumpers not only look great but help protect your investment. Features two ¾ thick D-ring tabs and Hi-Lift® jack points and provisions for 3 LED light cube lights. Underside is notched to retain factory receiver hitch. 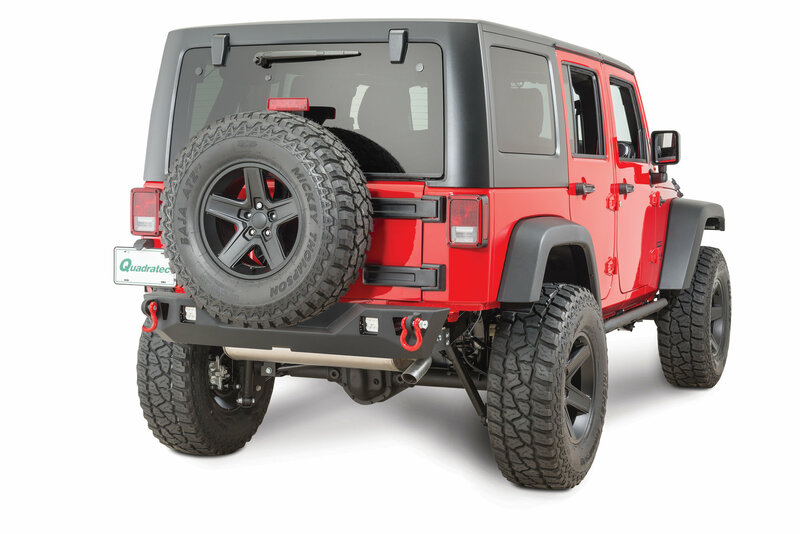 Mauler rear bumper can be used as a heavy duty replacement bumper and features textured powder coat finish for durability and long lasting looks. This bumper is bolt on application, but does require some minor frame trimming! Each bumper is designed for maximum approach angle and overall clearance to help you conquer any trail you may happen upon. How much does this weigh? Please add weight to all front and rear bumpers on your site. I'm looking for the lightest alloy bumpers I can find front and rear.